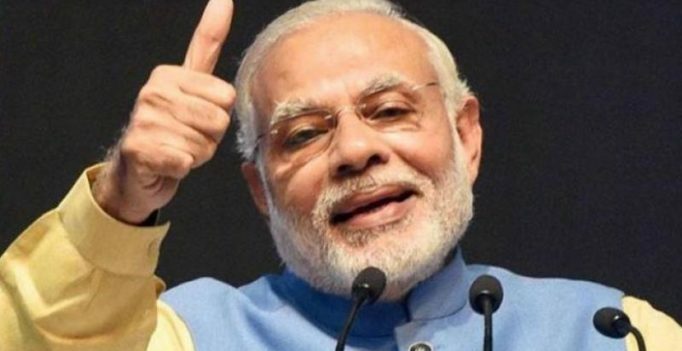 Chennai: Prime Minister Narendra Modi has been nominated for Nobel Peace Prize 2019 by Bharatiya Janata Party (BJP) Tamil Nadu president Dr. Tamilisai Soundarajan. Soundarajan has nominated Prime Minister Modi for launching the world’s largest healthcare scheme Pradhan Mantri Jan Arogya Yojana – ‘Ayushman Bharat’ and also appealed to people to join her in nominating the Prime Minister. The BJP Tamil Nadu president’s husband, Professor Dr. P Soundarajan, Head of Department and Senior Consultant in Nephrology at a private university in the state, has also nominated the Prime Minister for the honour. She added that the leading cause of poverty in India is healthcare expenditure for tertiary and secondary care. Soundarajan further urged the healthcare institutions and medical practitioners to fully utilise the scheme, which will eventually revolutionise the health care delivery system in India. Soundarajan also appealed to all healthcare providers in India and abroad to join her in nominating Prime Minister Modi for Nobel Peace Prize 2019. “The last date for nomination for Nobel Peace Prize 2019 is January 31, 2019. The nomination processes start in September each year. University Professors and Members of Parliament among others can also nominate our Prime Minister Modi,” release from the state BJP chief’s office said. On September 23, Prime Minister Narendra Modi launched the Pradhan Mantri Jan Arogya Yojana (PMJAY) -Ayushman Bharat, and had termed it a “game-changer initiative to serve the poor”.